Here's how to navigate the two nations' differences in treasury practices and banking processes. Across the United States’ northern border lies the other half of the world’s largest trade partnership. In 2014, the U.S. and Canada conducted US$521 billion worth of trade. More than 9 million U.S. jobs depend on trade with and investment in Canada, and more than 400,000 people cross the border every day to engage in various forms of commerce. 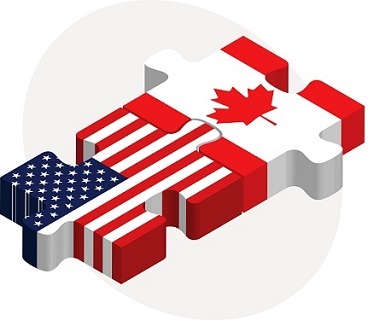 The trade partnership between the United States and Canada has been growing rapidly since 1989, when the Canada-U.S. Free Trade Agreement was enacted; two-way trade in goods and services has more than tripled since that agreement took effect. With roughly $1.73 billion in goods and services moving between the two countries daily, Canada offers considerable potential for organizations that want to invest in operations there.